TT Electronics’ will showcase its latest electromagnetic solutions for implantable and external medical applications at MD&M West. Engineers from the company will be onsite to introduce attendees to the company’s new capabilities and products such as pacemakers, cochlear implants and surgical navigation. Ultra-Fine Wire Winding – The company’s capabilities include winding wire as small as 58 gauge (.0004mm diameter or 1/10 the size of a human hair) using precious (gold, silver and platinum) as well as more traditional copper wire. Telemetry (Antenna) Coils – Customisable components used in pacemakers, defibrillators, neurological implants, and cochlear implants to communicate with external programming devices containing TT Electronics’ transmitter coils. Field Generation Coils – Components used in surgical navigation, internal diagnostic positioning, and Transcranial Magnetic Stimulation (TMS) systems used in bone healing, migraine treatment, and drug addiction therapy. Value-Add Capabilities – offered by TT Electronics to meet the challenges involved in the design, handling, termination, and testing of fine wire coils in the medical industry. The company’s “value add” offerings, which includes simulation design software, handling, termination, and microscope soldering, are compliant to ISO 13485 standards, performed in a class 100,000 clean room, and provide customers full product integration, streamlined logistics, and faster time to market. TT Electronics will also highlight several products designed for use in multiple medical devices, including: a power inductor for current boost applications, a toroidal isolation transformer for medical power applications, and a WiFi transmit/receive antenna for medical instrumentation. 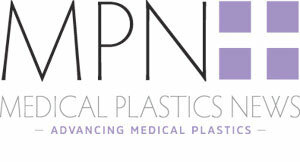 MD&M West takes place 5-7 February at Anaheim Convention Center, California.